Antony Worrall Thompson has said that Gordon Ramsay is a "one-trick pony" as a chef. The former Ready Steady Cook star told Waitrose Food Illustrated that Ramsay is limited in the type of food he prepares. Thompson said: "Gordon knows Michelin food but I have a feeling he hasn't got any depth. "I don't think he reads cookbooks like they were novels like I tend to do. He's a one-trick pony." He added that Ramsay had apologised to him at the Birmingham Good Food Show earlier this year after calling him a "squashed Bee Gee" who "can't cook to save his life" in the past. Want to learn how to cook? 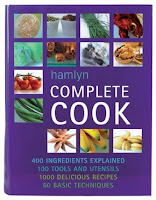 Check out the fantastic range of cookbooks at 24studio.co.uk.